4 Important Factors to Consider Before Renting SEO Services - Do you currently want to hire SEO services for your site? Wait, it's best to just choose an SEO company to optimize your business website. As a consumer, you should also be cautious about SEO services because not everyone can provide you with good service. Indeed, more and more companies that used to focus on offline eventually decided to target the online marketplace. One of the examples we can see is the Sun that has launched their e-commerce, Mataharimall.com. So are the other small businesses, who eventually create online store sites or blogs for their business. However, creating blogs and websites for businesses does not automatically help business growth because the site should have traffic from multiple sources. One of the best sources of traffic on the internet is the search engines as usual traffic from search engines is potential customers who are ready to buy goods. To get traffic from a search engine then you have to understand about SEO (search engine optimization). If we've been talking about search engine and SEO then we will remember Google, this one search engine is very dynamic and updates regularly. With good SEO techniques, a new business site can fit into the Google homepage. Therefore, when you want to hire SEO services you should be careful. Before you hire an SEO company to optimize your site, note some of the factors that you should consider following. The experience of an SEO services company is very influential on the end result of your site's SEO campaign. Therefore, note how long an SEO company and any clients who have worked with the company. We rarely find an SEO service company offering their services using Google Adwords ads. In my opinion, this is not the case, but if you want to get the best SEO services you should choose SEO services that are well-optimized and in organic search results on Google. It's worthless if you're wondering before deciding to hire SEO services. Ask a simple question, such as "How many years have you been in this business and how many clients did you serve?" You need to know how an SEO services company you are going to hire to optimize. Never try SEO services that use a black hat strategy (a strategy prohibited by Google). This illicit strategy still exists today, for example; keyword stuffing, cloaking, massive backlinks, and so forth. Maybe you're a layman about this problem, it would be wise to consult someone who understands the SEO strategy. Or if it is possible that a good SEO service company usually wants to explain to their prospective clients. Ask a simple question regarding the SEO process that will be done by the SEO company you are evaluating, such as "What process do you do to optimize my site and how to get backlinks to my site?". Use only SEO services from reputable companies. This is not just about the position of an SEO service company site on Google, but overall how it works on the reputation of other people's businesses through search engine optimization. There are many ways we can do to know the reputation of an SEO service, one of which is to ask clients of the SEO services company. Or you can also ask open questions through some online media, such as in the Ads.id Forum, on Facebook, and so forth. Testimonials from other users are a valuable reference, but we know that not all the testimonials are from real users. Beware of false testimonials, because now there are also testimonials. 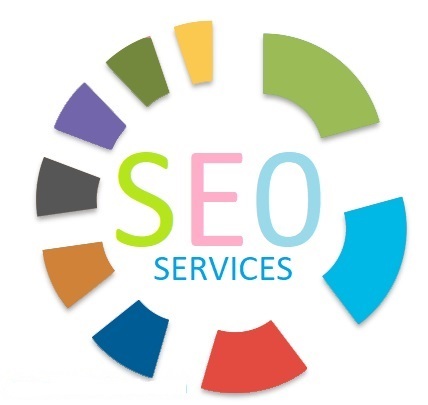 Note the position of their site on Google for these keywords: "SEO Services", "SEO Services Company", "Professional SEO Services"
There are several SEO services companies that provide a # 1 ranking guarantee to their prospective clients. In fact, no one can guarantee a site can appear in the # 1 Google organic search results. The position is a prize for sites whose content is relevant to the keywords and is well-optimized. Additionally, every keyword on Google must have a competitor's site and they also optimize for that keyword. If you want to hire SEO services, it is best to avoid SEO companies that provide guaranteed positions # 1, # 2, and # 3, because they are likely to use any means even prohibited. This can have a long-term adverse impact on your business site. Then, what can we expect from SEO services? It would be wise if the SEO service company gave your site a guarantee that you could enter the first page, but for that position, it could change at any time because Google is always updated. Questions that you can ask the SEO company you are evaluating: "Do you guarantee that my site can reach the first page?". 4 Causes of Quiet Visitor BLOGs.